← What’s the difference between 304 and 316 stainless steel? Always consider where you will be using your electrical enclosure before you buy. The right purging/pressurization system protects your electrical enclosure so it doesn’t ignite or explode on you. 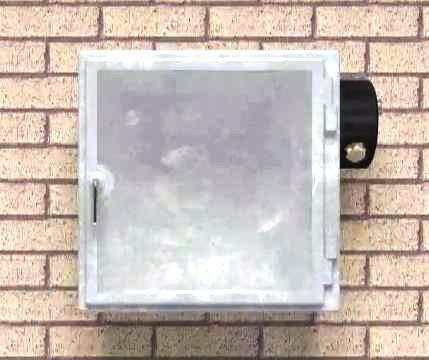 When your electrical enclosure is being used in a hazardous location it’s vitally important to keep any flammable substance such as gases, dust or metals from getting into it and coming in contact with the electrical circuitry inside. If that happens, your enclosure could ignite or even worse, blow up and put the entire surrounding area and people at further risk. That means safety issues, downtime, potential lawsuits, and added costs. It only takes a very small amount of energy to cause an ignition. In electrical circuits all it takes is a spark from faulty wiring or a bad connection. Most materials will burn if given the right temperature and pressure conditions. Fire is simply an oxidation process. Some oxidation processes proceed at a slow pace while fire is a rapid oxidation process. For example, steel usually rusts over a period of days, weeks, and months. However, if steel is finely granulated, placed in a pure oxygen environment, and then exposed to high temperatures, it will burn rapidly. Flour in a bakery can do the same thing as can the dust produced from grain stored in a grain elevator. While the oxidizer in most fires is oxygen, other chemicals may be oxidizers. Certain fuels, when combined with air, can form an explosive mixture. The main difference between a rapid fire and an explosion is that an explosion creates a pressure wave due to the rapid production of hot gas volume. That pressure wave is what is causes the “bang” in an explosion. The explosive pressure wave can cause serious damage to facilities and humans. That’s why purging and pressurizing your electrical enclosure is so critical. Purging is the process of supplying enclosures with compressed air or inert gas at the proper flow and pressure in order to reduce the hazardous gas inside the enclosure to a safe level. Pressurization is the process of bringing compressed air or inert gas inside an enclosure to a pressure where there is no ingress of hazardous gasses or combustible gas. Purging and pressurization are required in atmospheres where flammable gases or liquid vapors are present. Only pressurization is required in atmospheres where ignitable metal, carbon or organic dusts are present. The most common and practical protective gas used in an electrical enclosure is compressed instrument quality air that contains no more than trace amounts of combustible vapor. Inert gases, such as nitrogen or argon are also acceptable. Most purging applications require a minimum enclosure pressure of 0.10 inches (2.5 mm) of water. In some circumstances, a minimum enclosure pressure of 0.50 inches (12.7 mm) of water is required to protect against ignitable dust. In all cases, a higher enclosure pressure should be maintained to create a reasonable safety factor. In rare circumstances, enclosure pressures as high as 2.5 inches (63.5 mm) of water may be required to offset sudden atmospheric pressure fluctuations, such as those created near missile launching or off-shore oil drilling platforms. Average protective gas consumption during pressurization at a 0.10 inch (2.5 mm) enclosure pressure should fall somewhere between 0.1 to 3.5 scfh per cubic foot (2.83 to 99.11 l/hr) of enclosure volume. Use depends on the protected enclosure’s integrity and normal pressure setting. Use is also dependent on the quantity and size of covers and doors as well as devices which penetrate the surface. Advanced forms of protection such as cooling or dilution may require continuous flow rates of 30 to 100 scfm (849.38 to 2831.26 l/m). Purging requires a much higher flow rate than pressurization, but only for a short period of time. Any enclosure can be purged, but enclosures featuring gasketing and multiple door fasteners are best for purging. We recommend enclosures which meet or exceed the National Electrical Manufacturer’s Association (NEMA) rating of Type 4 or Type 4X. Any basic electrical device can be purged, as long as all “live” or energized components can be isolated from the surrounding environment. Devices such as push-buttons, relays, timers and programmable controllers should be installed in a sealed enclosure. Motors require a totally enclosed housing. Equipment mounted in the protected enclosure can be accessed if the area is known to be non-hazardous, or if all power to the protected equipment has been de-energized. However, a cooling period may be required before accessing hot components, such as transformers or variable speed drives, which would otherwise be unacceptable for use in a hazardous location. Equipment mounted through the surface of a protected enclosure may require a sealed access door if the equipment is not suitable for exposure to the surrounding atmosphere. How to choose a purge/pressurization system. 1. The Hazardous Area Classification (Class and Division) in which the electrical enclosure and internal equipment are to be used. For Division 1 areas, the hazardous rating of the internal equipment determines if a Type X or a Type Y system is to be used. 2. Equipment rating – the rating that is necessary for the equipment depends on the Class and Division of the ambient atmosphere and the desired hazardous environment inside the enclosure. 3. Dimensions of the electrical enclosure used to determine internal volume. 4. 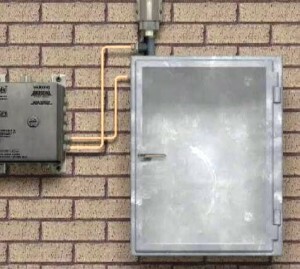 Electrical enclosure configuration – for example, all cable entry must be sealed to NEMA Type 4 or 12 and any external wiring to the enclosure must be compliant for use in the particular hazardous environment present. 5. Power requirements, in case of a Type X system, especially the demand of an interlock. Purging and pressurizing an electrical enclosure is an absolute safety necessity when using an enclosure in hazardous conditions. Think about it when ordering your next one. Without this vital precaution, your electrical equipment and the people working around it would be at risk. To place an order or if you have questions please contact us today at 713-921-2233. Content and illustrations courtesy of Rittal Corporation, The International Society of Automation and Purge Solutions.